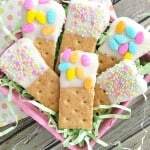 Home » easter » Make Graham Cracker Dippers for Easter! So Easy & Fun! 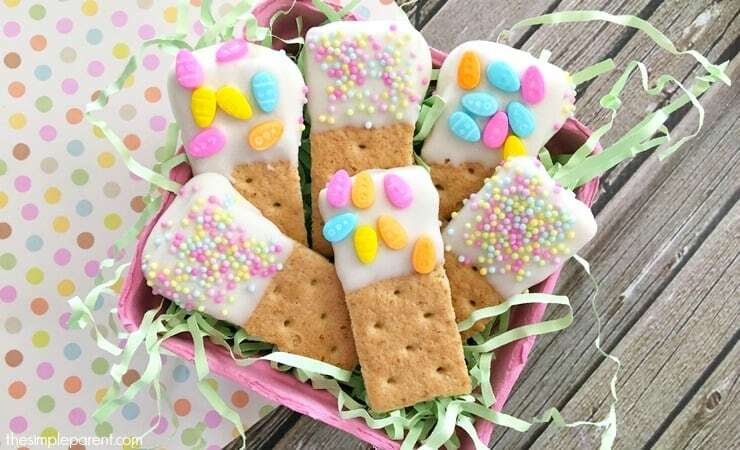 Easter is almost here so it means it’s time to get crafty and make some fun treats with the kids! We’re still really into graham crackers so it just made sense to make graham cracker dippers because they’re just so easy! 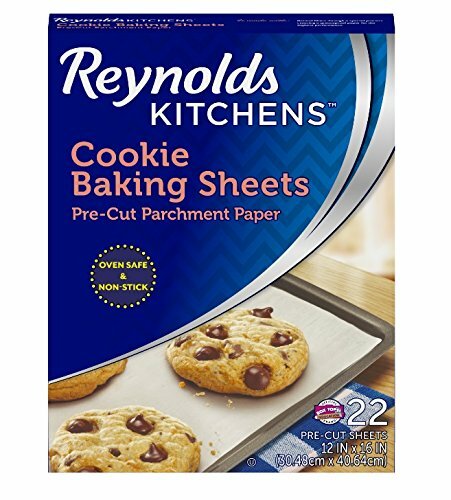 These make a great last-minute treat! Even the younger kids can help! 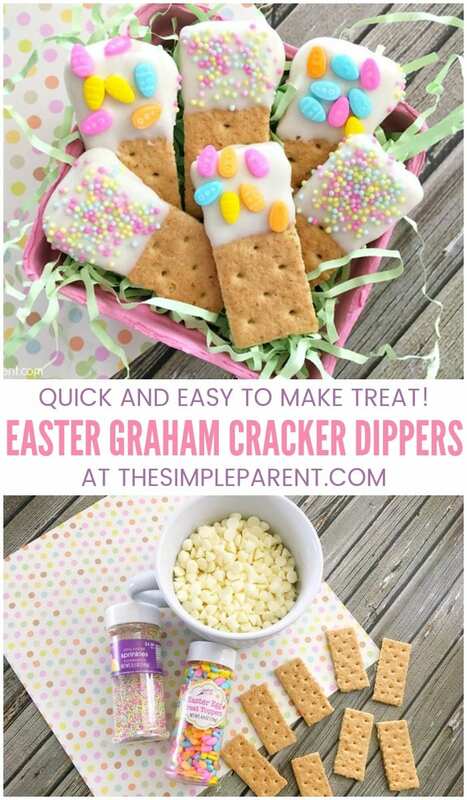 The best thing about these Easter Graham Cracker Dippers is that they’re super simple to make with a short ingredient list! That’s my favorite kind of recipe! We also love that with a little adult help, the kids can do a lot of this one! My kids love getting in the kitchen with me and it’s a great way to spend time together! 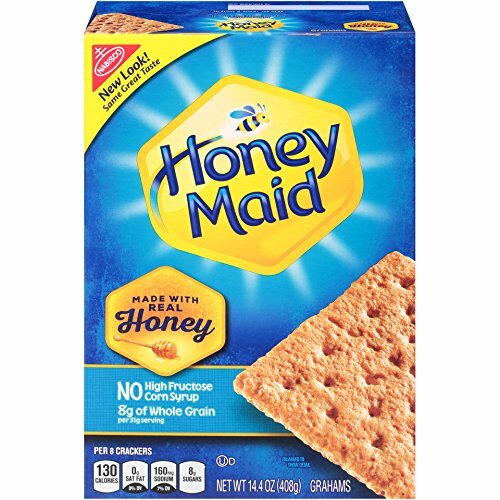 We love using Honey Maid graham crackers but you can use any brand that you like! 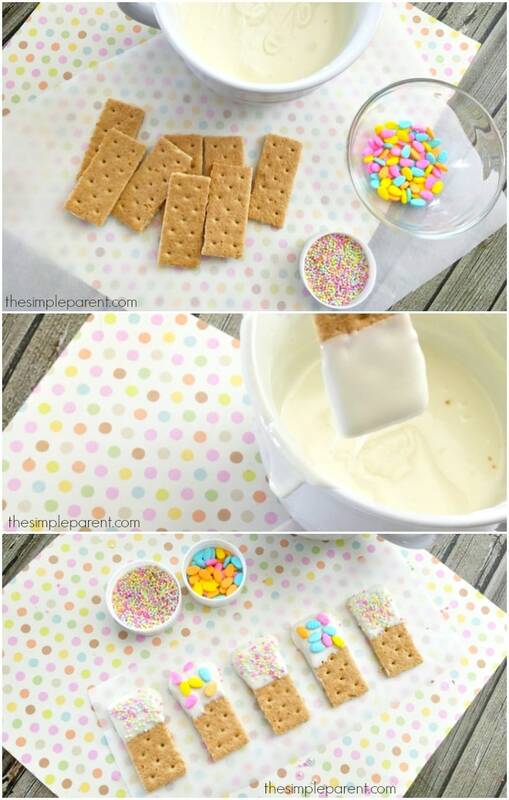 Graham cracker dippers are also a great way to use up extra sprinkles you might have in your pantry! 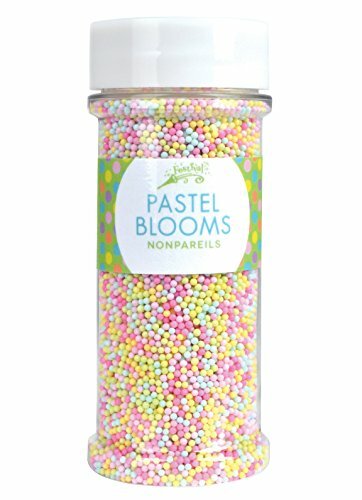 You don’t have to have Easter specific sprinkles. Anything pastel colored works great for these! In the bowl, microwave white chocolate chips on 50% power for 3 to 4 minutes, stirring every 30 seconds until melted. Once the chocolate is melted dip the graham cracker rectangles halfway into the melted chocolate and set on parchment paper. 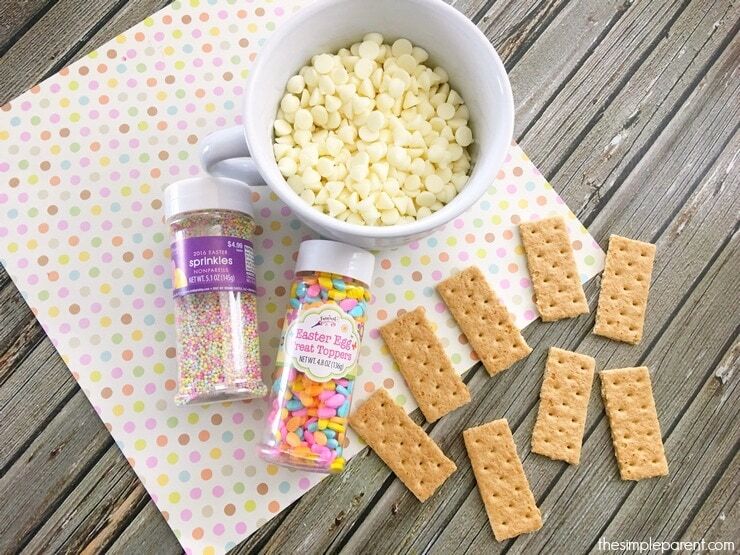 While the chocolate is still soft, sprinkle with Easter sprinkles. Set in the fridge for 15 minutes to let the chocolate harden and enjoy! If you have older kids, they can help dip the graham crackers into the warm, melted chocolate. Otherwise, you’ll want to be the adult supervision and help with that part of things. The younger ones are perfect for sprinkle duty! Even the youngest child can sprinkle on some cute sprinkles and decorate their own snack! Microwave white chocolate chips on 50% power for 3 to 4 minutes, stirring every 30 seconds until melted. Decorate with sprinkles while the chocolate is still soft. 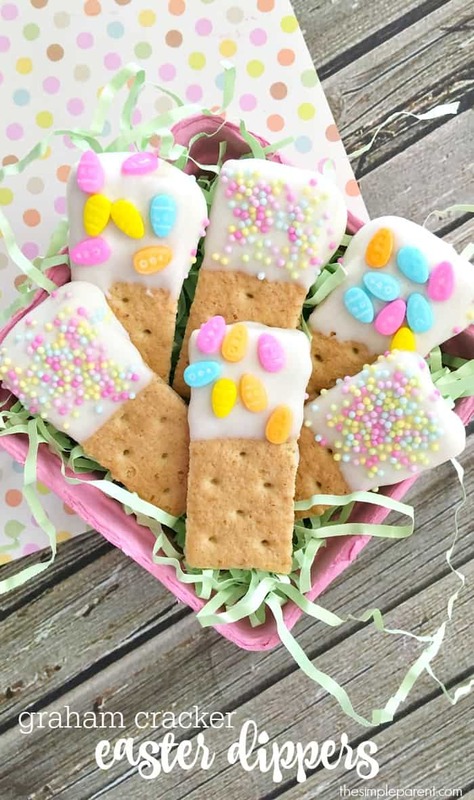 So whether you’re looking for a last-minute activity or treat (or looking for something that’s also easy to take to an Easter party), our entire family always has fun making these!